Michael Page International GmbH | media:net berlinbrandenburg e.V. The PageGroup is one of the world’s largest and most renowned consultancy groups for the recruitment of specialist and managerial staff for both permanent and temporary positions, as well as for interim assignments. 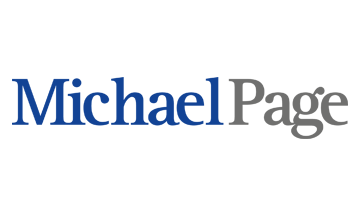 PageGroup comprises three core businesses, under the brands of Michael Page, Page Personnel and Page Executive. In Berlin our main focus is on the IT Businesses due to the business environment here. Global collaboration and virtual teams, big data, the race to release innovative digital products, cloud computing and software as a service: These are just some of the trends that are putting the pressure on individuals in the industry. More than ever, IT experts are optimizing their operational processes with specialized knowledge and experience to help their enterprise compete successfully and be first to market. In such a fast-moving environment, our clients continued success requires an IT team to comprise the best possible employees and Michael Page is able to recruit them. In addition to their comprehensive knowledge of the industry and the recruitment market, our consultants are able to draw on their excellent networks of candidates. Their focus on specific functional areas guarantees that we will quickly and unerringly find the right employee for you. This works not only for IT professionals, but also for Sales, Finance and HR profiles.